Secor is famous for our custom deck design and construction with over 70 years experience in building quality custom built decks, gazebos, hot tub and pool decks for homeowners throughout the greater Rochester, Syracuse and Finger Lakes Region of New York. For that special place of your own to relax or entertain family and friends, your own backyard deck can be an amazing place to enjoy outdoor living at its finest. With Secor professionally designed and installed decks, your Finger Lakes area yard will be transformed into a great outdoor living area you will want to enjoy as often as possible. Your custom designed and built Secor deck will let you enjoy making this wonderful outdoor living space an easy extension of your home. Our experienced deck designers and builders have created hundreds of unique outdoor living spaces throughout the Rochester, Canandaigua, Geneva, Newark, Auburn and Finger Lakes area, and specialize in making your deck a natural extension of your indoor living areas. Which Deck Type is Right for You? Pressure treated pine: Very popular and inexpensive. Can be stained any natural color. Western Red Cedar: Originally reddish brown, Western Red Cedar ages to a silvery gray color. Resists pests and mildew. Redwood: Like cedar, redwood resists rot and is an excellent deck wood. It has a natural, rough appearance. Mahogany: A luxury tight-grained hardwood, Mahogany resists pests and rot. When treated, it can take on the appearance of teak and last for decades. All wood decks require annual upkeep, cleaning and routine maintenance. Vinyl decks offer the best of all worlds: high comfort, natural appearance and low maintenance. Embossing wood grain finish for a wonderful, realistic look and feel. Stays looking new. No annual re-finishing. Skid resistant, comfortable and cool on your feet, even on hot, sunny days. Vinyl decks are available in colors to match your siding, fencing or railings. Resistant to staining, mildew, mold, fungus and insects. At Secor, we can can provide everything you need to make your new deck truly your own. From benches for addition seating when entertaining, to Gazebos that can be used rain or shine. Your Secor professional deck consultant can also help you choose just the right Railing and Spindles for your deck for the perfect look you want. Summer evenings are great for using your new deck, so be sure to ask us about our wide selection of Deck Lighting and Awnings. Secor Home Centers and Showrooms provide Rochester, Syracuse, Geneva and the Finger Lakes region with professionally designed decks, pergolas, trellises and covered porches, along with arbors, pool/spa decks and other specialty structures for your home, garden and business. For all your outdoor deck design and construction needs, contact Secor today and let our knowledgeable, professional team of talented builders help turn your outdoor vision into a reality. At Secor, we not only help you create the deck you’ve always wanted, we also help you build it. Whether you need a recommendation for a licensed Finger lakes area contractor or you have your own deck builder, we will work to ensure that your new outdoor deck or patio project is done right and without any unexpected surprises. With our commitment to providing exceptional quality and value with personalized one-on-one customer service, it is no wonder Secor has been the preferred source for Ourdoor Deck Design and Construction for homeowners and contractors throughout the Rochester, Newark, Waterloo, Auburn, Skaneateles and Finger Lakes region since 1939. 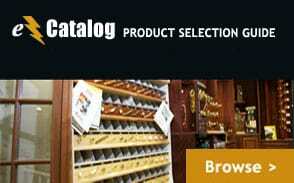 With friendly, knowledgeable deck design and construction experts and the latest selection of deck materials, designs, railing and outdoor lighting products, Secor can help make your new deck a reality. 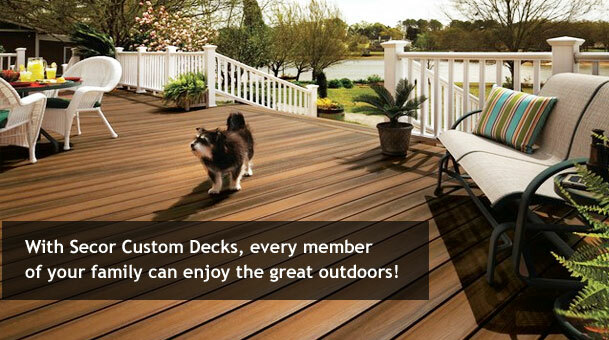 Call us or contact us by email today and schedule your personal deck or patio design consultation. (315) 365-2838.